Unlike existing Energy Management System (EMS) which usually runs from a centralized server system at Power System Control Centre and operates large generating units and a transmission system via dedicated communication channels, this project aims to develop a low-cost, scalable, hierarchical transactive energy management system for use by load and supply aggregators of distribution systems. The loads and distributed energy resources are small in capacity but large in quantity. The proposed system considers three sets of inputs: supply side (e.g. intermittent PV system, bi-directional storage battery as supply, etc), demand side (e.g. variable controllable loads, storage battery as load, etc) and price fluctuations in real-time energy and reserve markets. A two-stage optimization technique is proposed for managing different types of battery energy storage systems. A model predictive control (MPC)-based controller scheme that is capable of coordinating hybrid energy storage systems and intermittent energy sources is validated via control-hardware-in-the-loop (CHIL) test setup in the lab. A decision support tool that can facilitate participation of loads in a demand response market is designed and proposed for use by load and supply aggregators. For more information about Nanyang Technological University, please visit http://www.ntu.edu.sg. H. B. GOOI received his PhD degree from The Ohio State University in 1983. He was Assistant Professor with Lafayette College, Easton, and was Senior Engineer with Empros (now Siemens), Minneapolis, where he was responsible for the design, testing and coordination of domestic and international energy management system projects. In 1991, he joined School of Electrical and Electronic Engineering, Nanyang Technological University, Singapore as Senior Lecturer. Since 1999, he has been an Associate Professor and was Deputy Head of Power Engineering Division, during 2008–2014. His current research interests include microgrid energy management systems dealing with storage, renewable energy sources, electricity market and spinning reserve. Since 2016, he has been Editor of IEEE Transactions on Power Systems and Editor of IEEE Power Engineering Letters. Dr. Gooi is a Senior Member of IEEE and a registered professional engineer in the Commonwealth of Pennsylvania, USA and Singapore. He is a member of 2018/19 Energy Technical Committee, Institution of Engineers, Singapore and Chairman of Sub-Committee for Fundamentals of Engineering Examination (Electrical), Professional Engineers Board Singapore. He taught Energy Management System courses for dispatchers and managers at Power System Control Centre in Singapore, Indonesia and Malaysia. He has published over 250 technical papers. 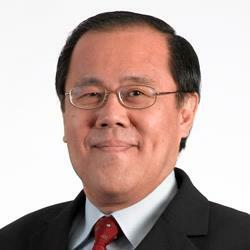 For more information about the speaker, please visit http://www.ntu.edu.sg/home/ehbgooi/.